Rocket Crop in Blueprint. 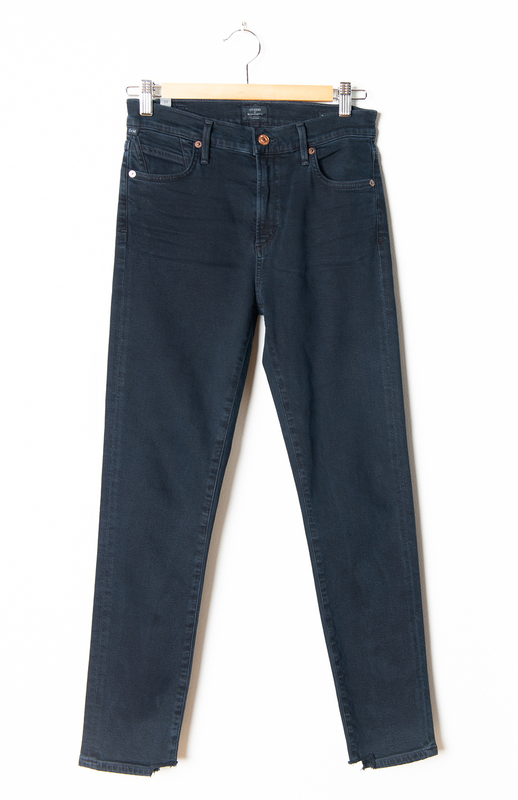 Blackish blue deep wash in our most poplular shape from Citizens. Stretchy, conforming fit, ankle length, no whiskering or tears. Small "chew" at inside hem. *10" Front Rise, 26.5" Inseam, 10" Leg Opening.